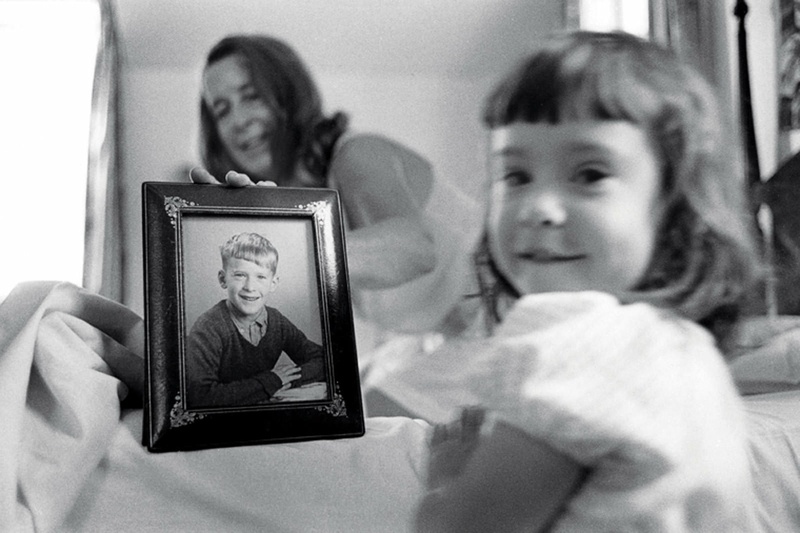 Photographs that admire, probe, and “flinch from” family members. 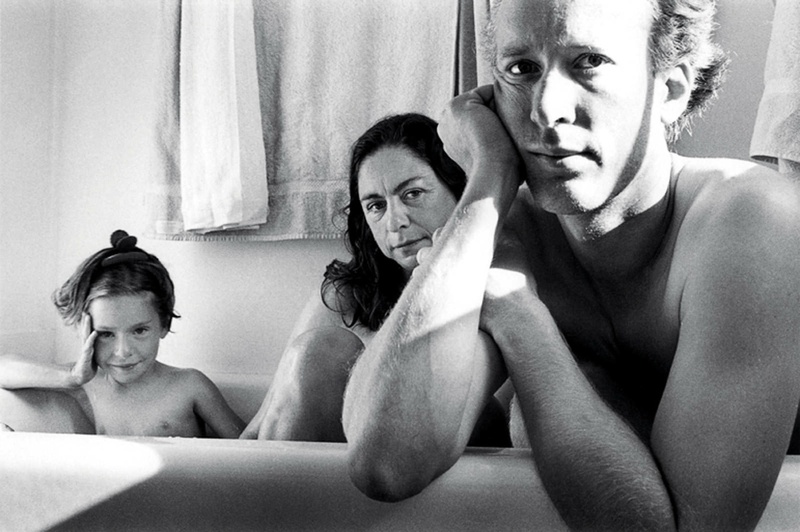 The photographer captures his family’s everyday moments. [extra:Extra] See more images of Biddle’s everyday family life. 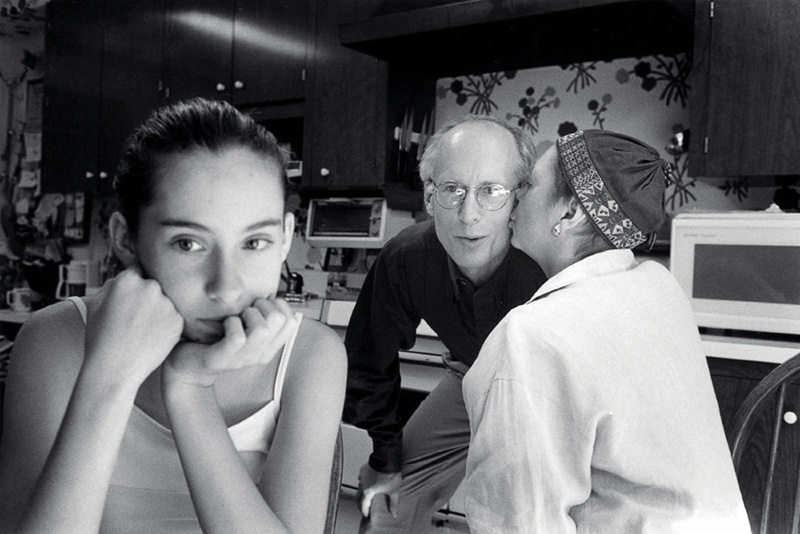 For Geoffrey Biddle ’72, photography has been a way of earning a living, practicing an art, and understanding his family. Or rather, families: Biddle has had two marriages and fathered four daughters, and his family of origin is the renowned Biddle clan of Philadelphia. His lens has proven a potent tool for probing the closest relationships in his life. His passion for photography burgeoned in high school. In college, he led the photographic board at The Harvard Crimson and took courses at the Carpenter Center before setting out on a lengthy, successful career in commercial photography. His photographs ran in Time, Newsweek, Fortune, Forbes, and GEO, and corporate clients included IBM, GE, Citicorp, and GAF. His work has been published in 15 books, and the Museum of Modern Art and other institutions have his prints in their collections. In the 1990s, he spent seven years as assistant chairman of the photography department at Parsons School of Design. 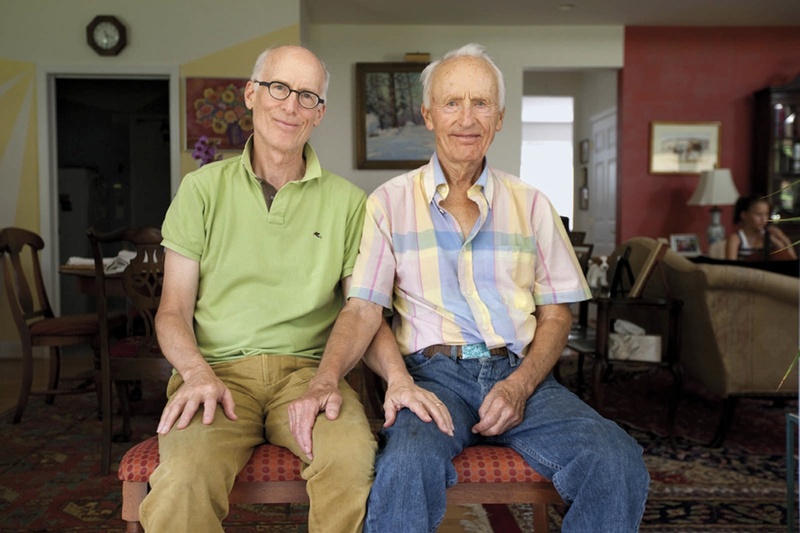 Biddle now lives in Berkeley, California, with his second wife, Jane Gottesman. They have three daughters under the age of eight, who are, of course, frequent subjects of Biddle photos. Yet his current work also embraces earlier generations: one series of annual photographs begun in 2008 captures images of him sitting beside his father, who’s now 92 years old. 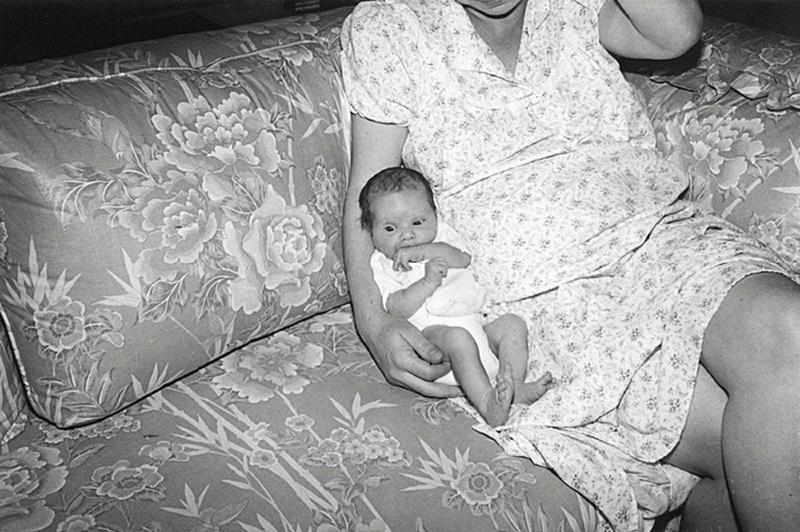 Biddle describes it as “a gentle way of looking at death.” He is also putting together a project titled “First Wife/First Life.” It is a kind of photoessay on his family history with Mary Ann and Eve that fuses a 60,000-word text with scores of carefully chosen images. 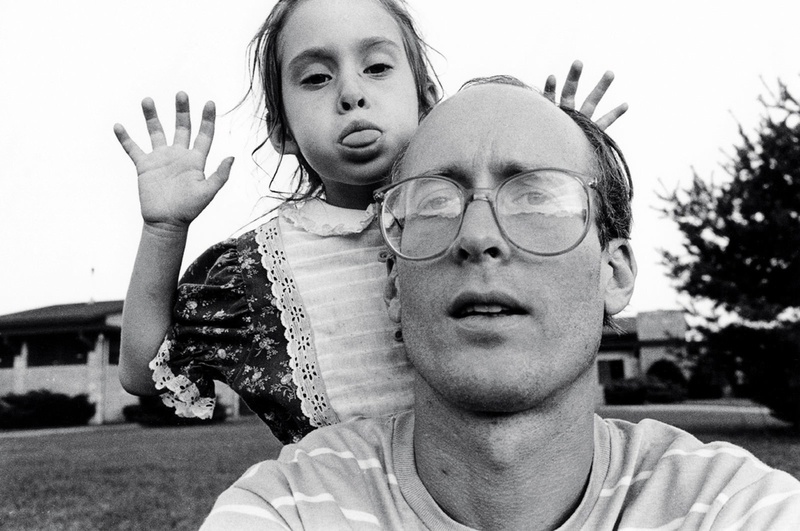 It’s a cross between a memoir and a visual and verbal documentary on the Biddle clan, as seen through the author-photographer’s lens and memory; he plans to publish it as a book. At first glance, Biddle’s work could come from almost any family album of that era. What sets it apart is the powerful nature of the images, chosen from perhaps thousands made by a master photographer coming to terms with a central fact of his own life. 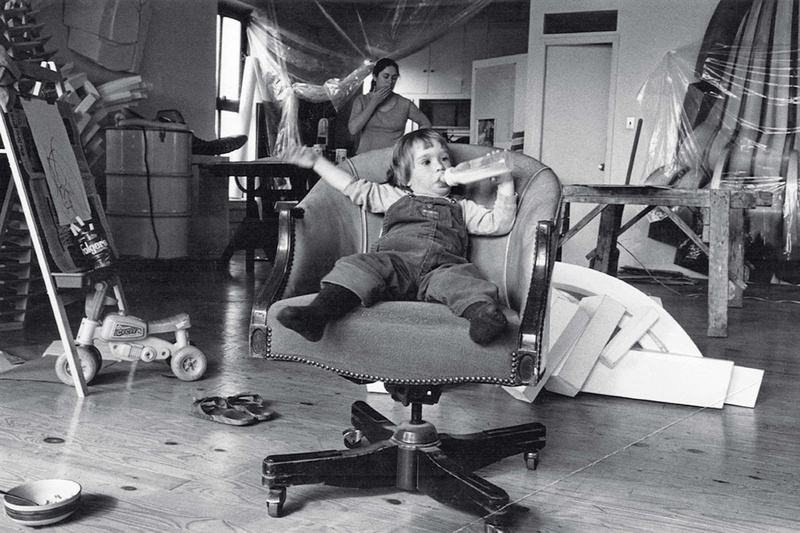 Because Biddle’s pictures are taken with wide-angle lenses in the “real” world (rather than a studio), they resemble typical family snapshots, which include many inanimate objects as well as the human subjects. In amateur snapshots, such elements often produce a distracting, even chaotic background. But for Biddle, they are elements in a thoughtful, considered composition that integrates the primary subject with a larger context. His photographic involvement with the concept of “family” goes back at least to the late 1970s, when he shot Alphabet City, an extended photo essay named for the streets (Avenues A, B, C, and D) on the Lower East Side of Manhattan. That neighborhood was home to a largely Puerto Rican community then plagued with street violence and heroin addiction. The project, which eventually appeared as a book in 1992, helped teach Biddle the power of integrating textual and visual elements. “With a photo on its own, you can go anywhere,” he observes. “Text gives you direction. When you have a story to tell, text is important.” One model was the 1941 classic, Let Us Now Praise Famous Men, by Walker Evans and James Agee ’32. 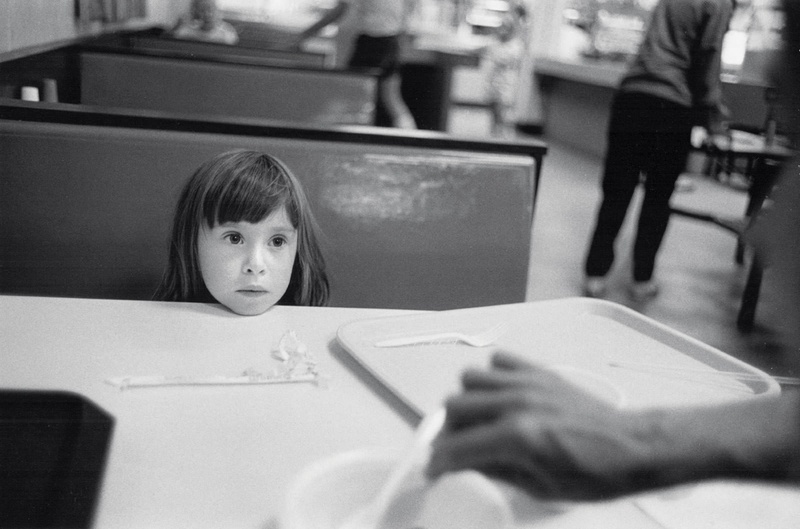 Other influences on his family work are contemporaries Nicholas Nixon and Lee Friedlander.